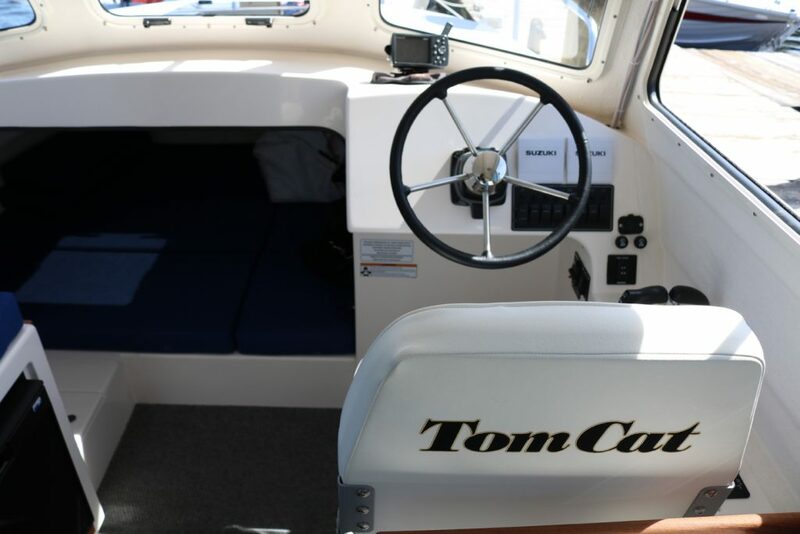 The Tomcat 255 rides and corners smoothly without any roll. 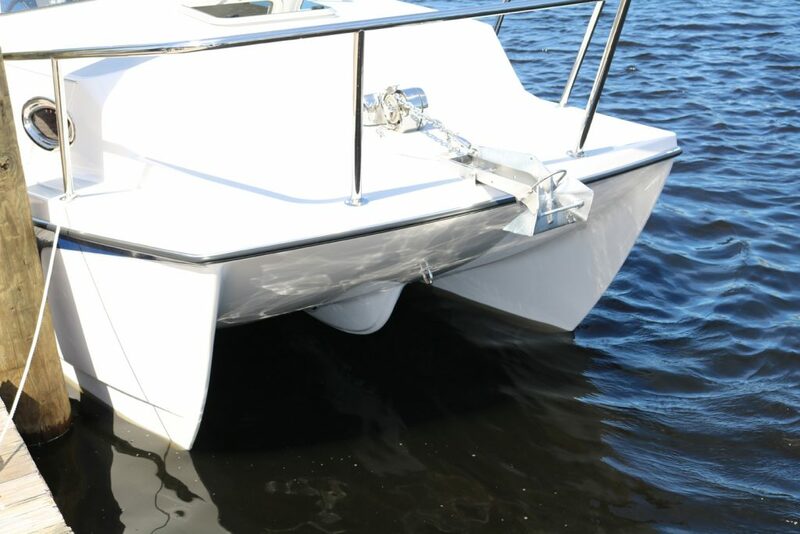 It tracks straight at all speeds and runs flat and dry. 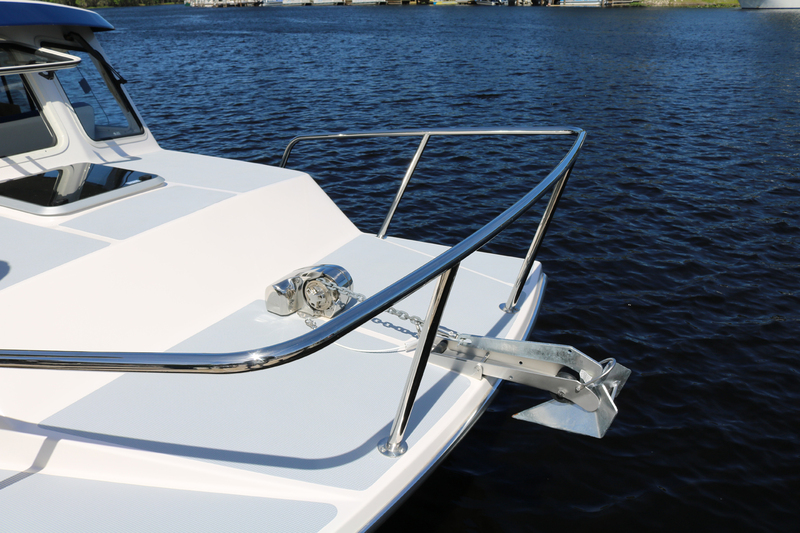 The railings are all made of the highest grade 316 stainless steel and are oversized for extra strength and safety! 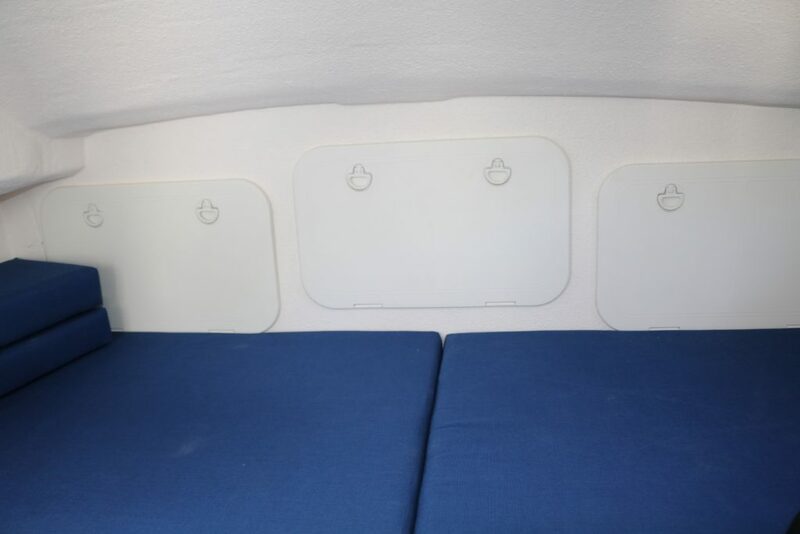 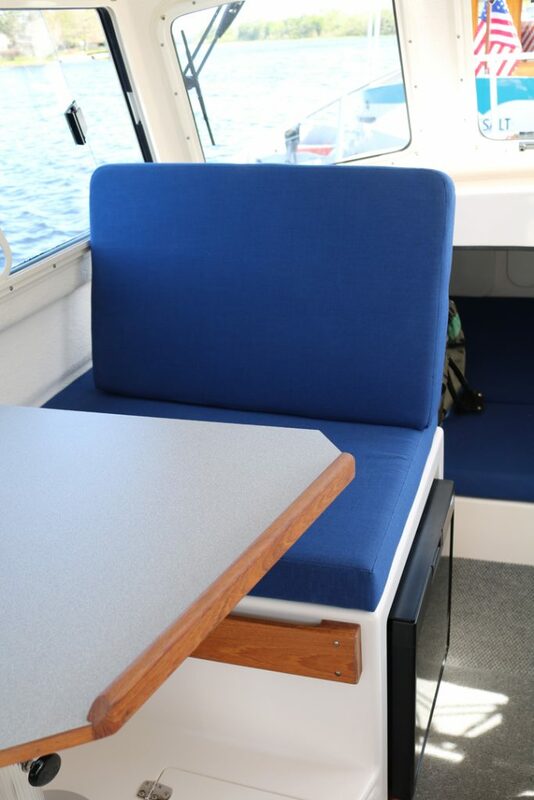 Four foot insulated fish boxes with macerators provide plenty of room for the days catch. They also serve well as additional cockpit storage. The Tomcat 255 rides and corners smoothly without any roll. It tracks straight at all speeds and runs flat and dry. 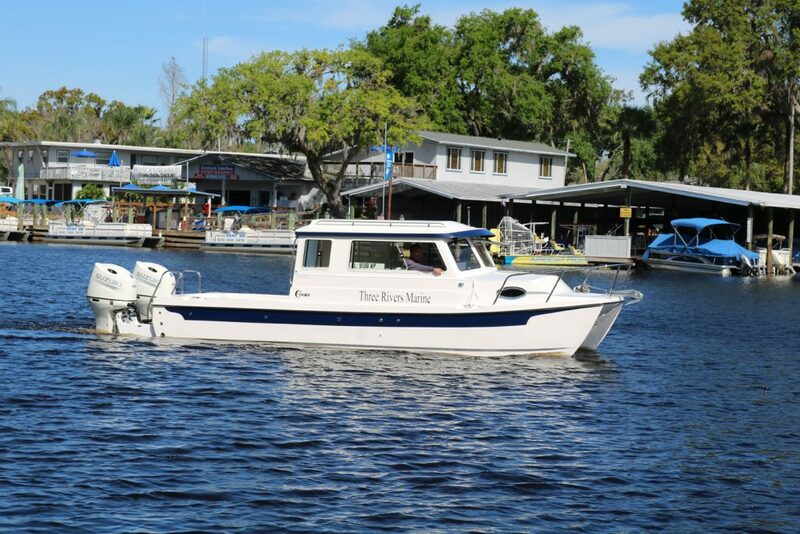 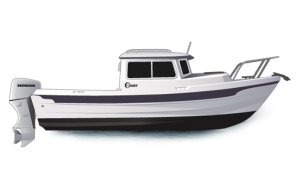 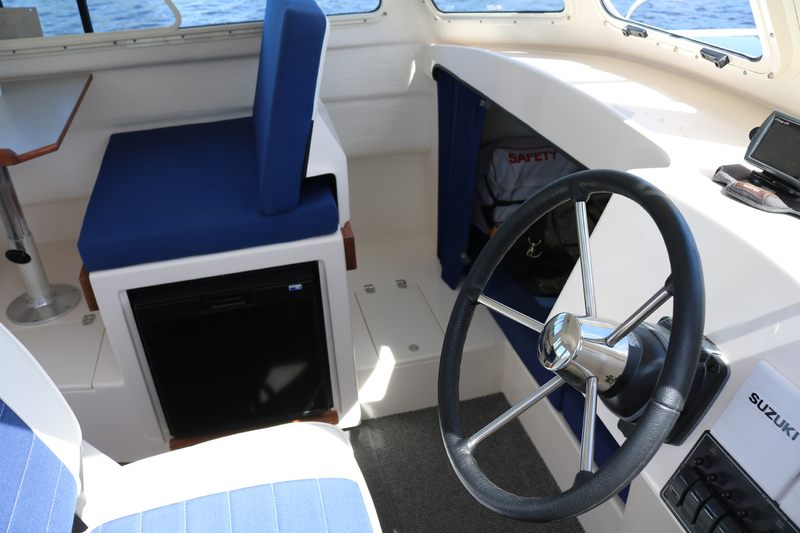 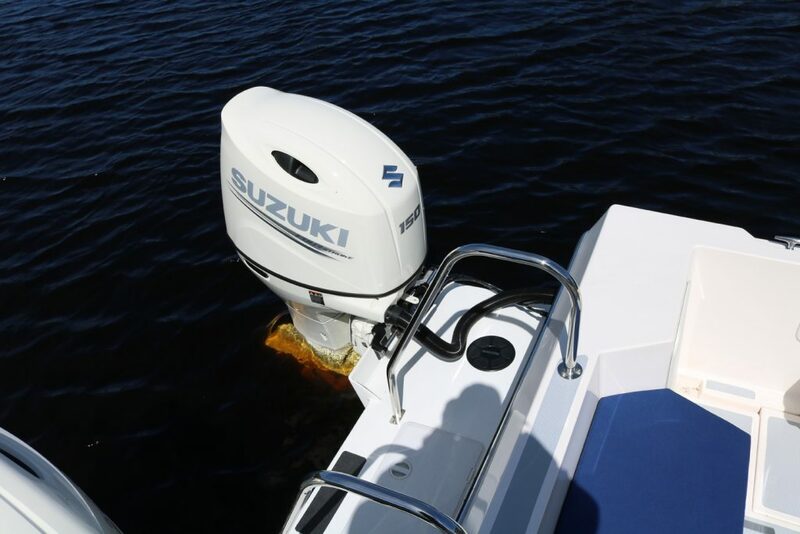 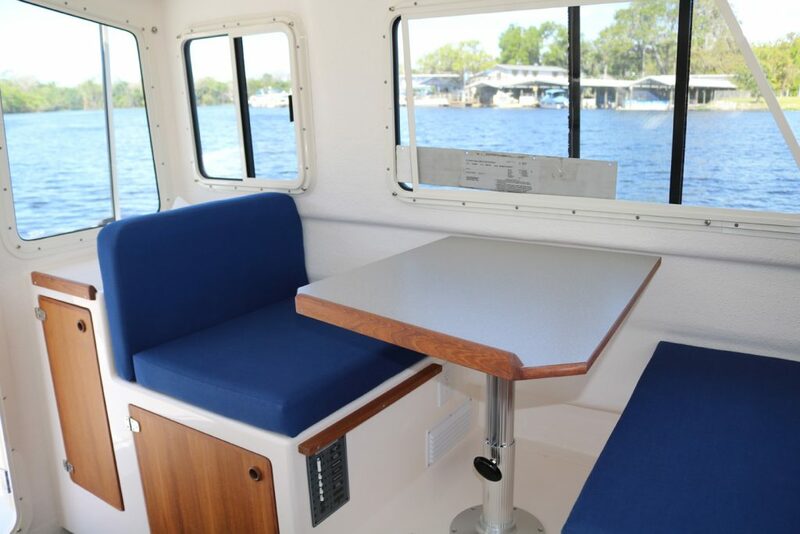 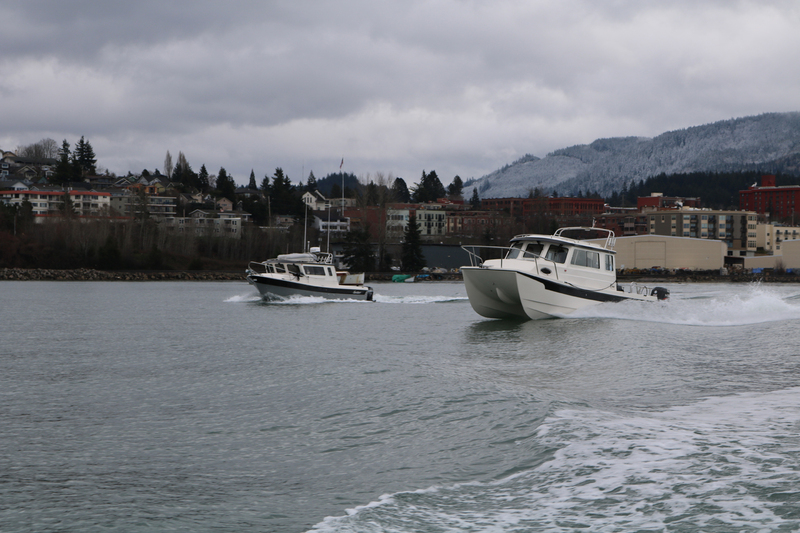 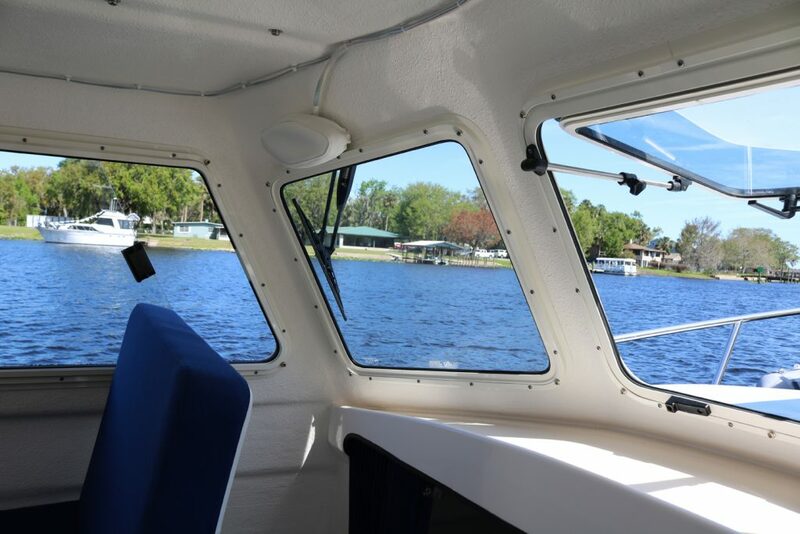 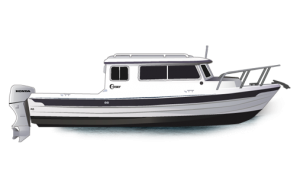 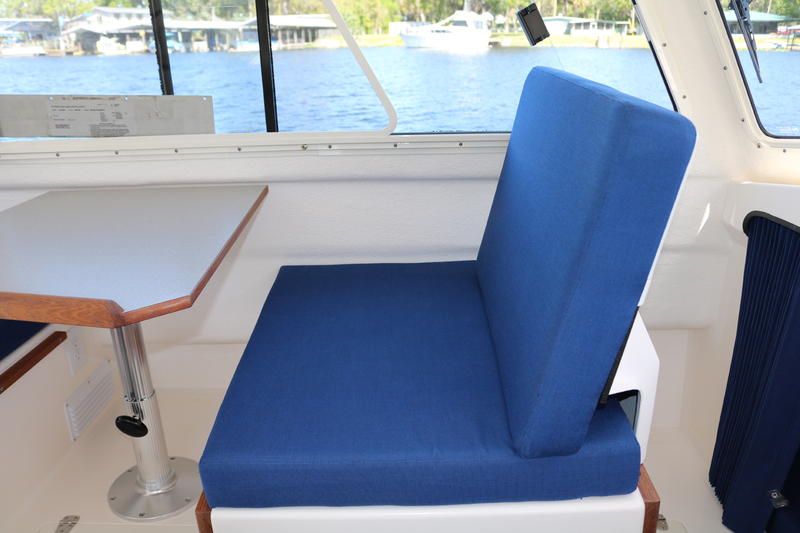 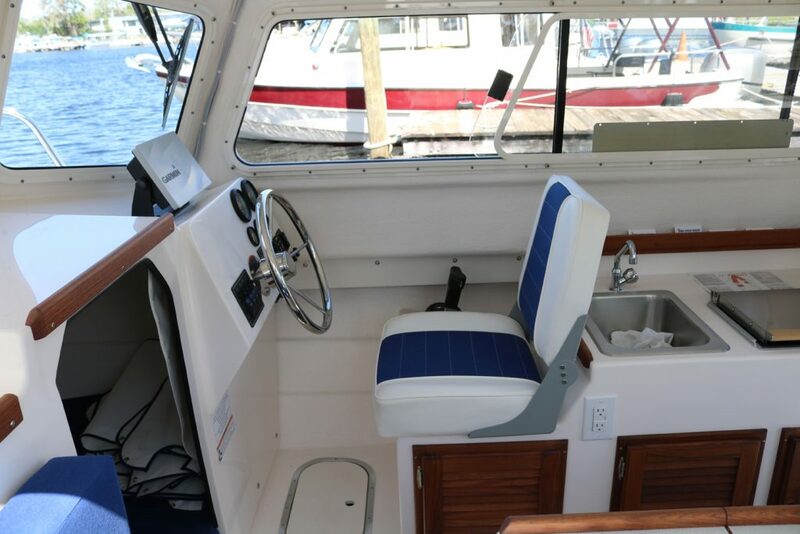 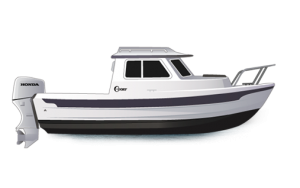 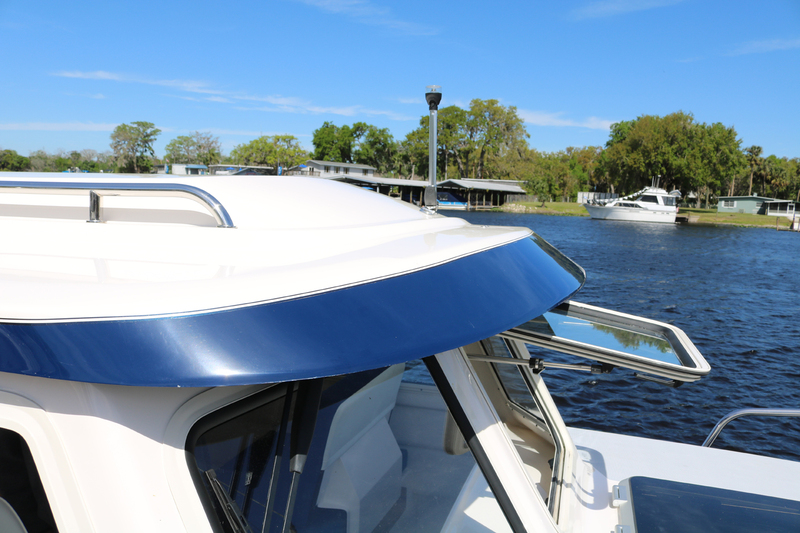 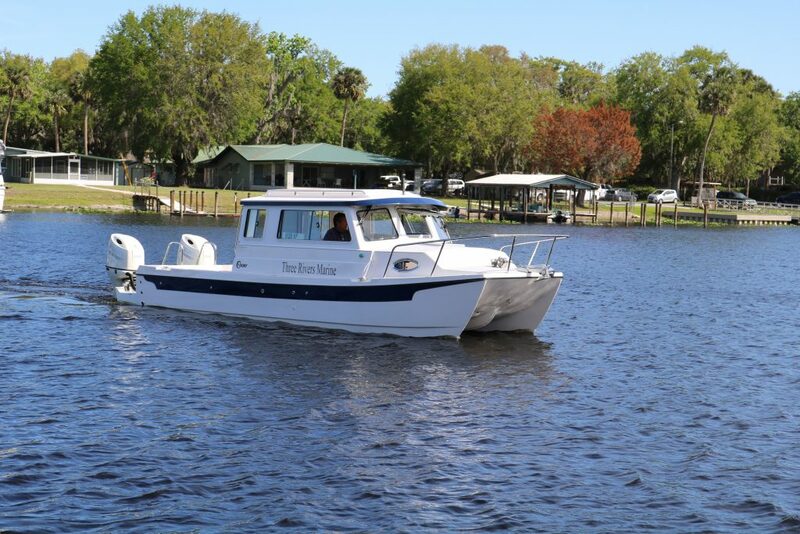 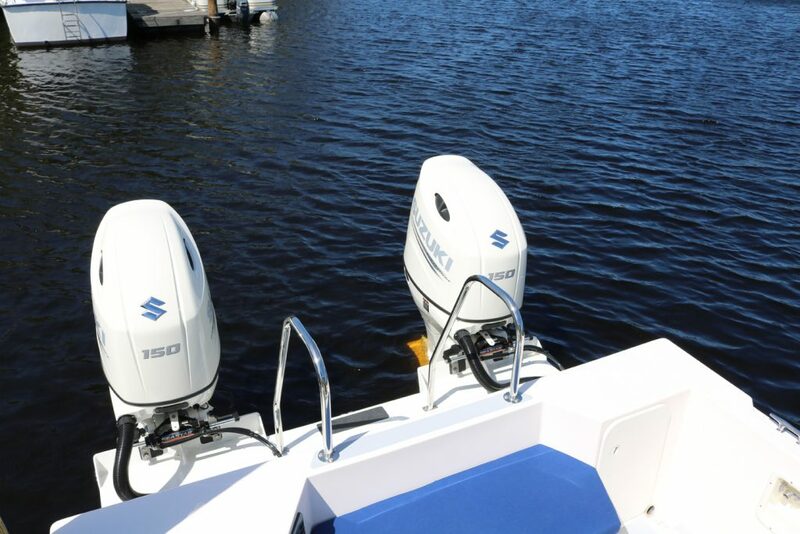 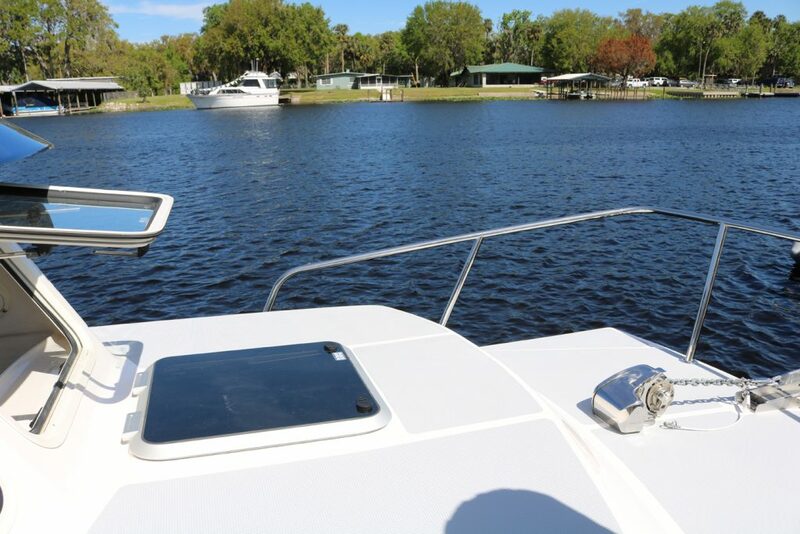 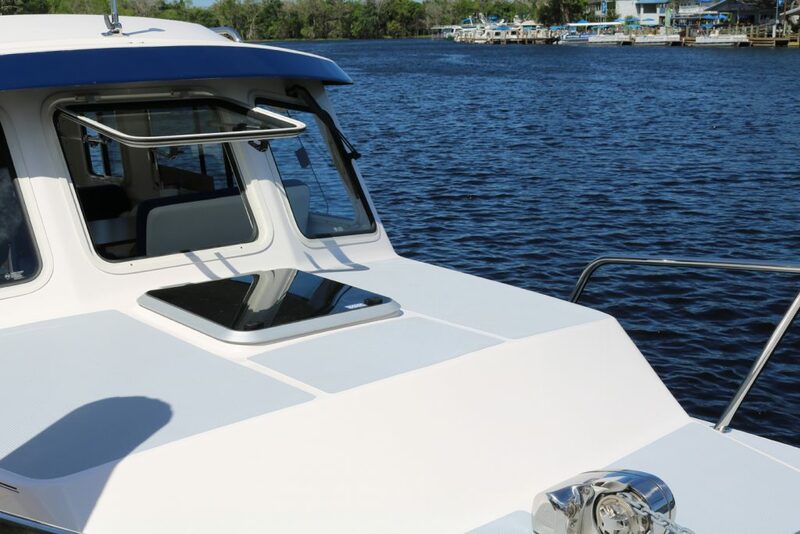 Twin engines provide maneuverability around the dock and peace of mind when out on the water. 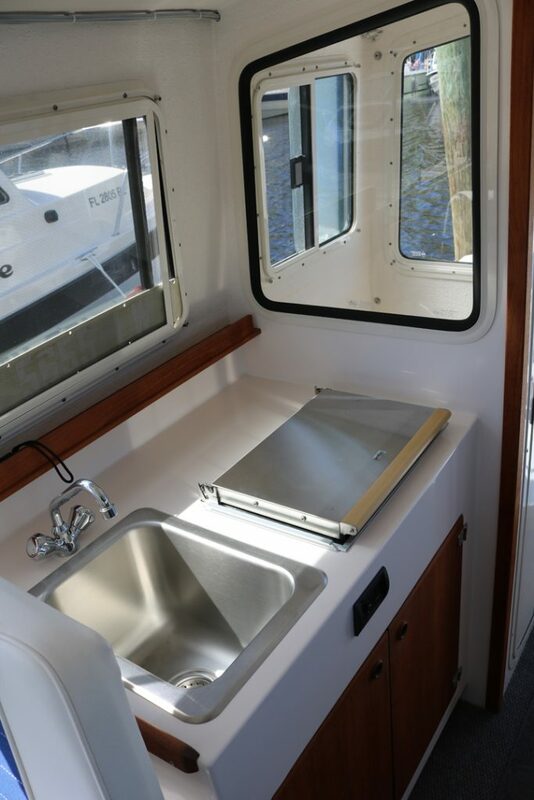 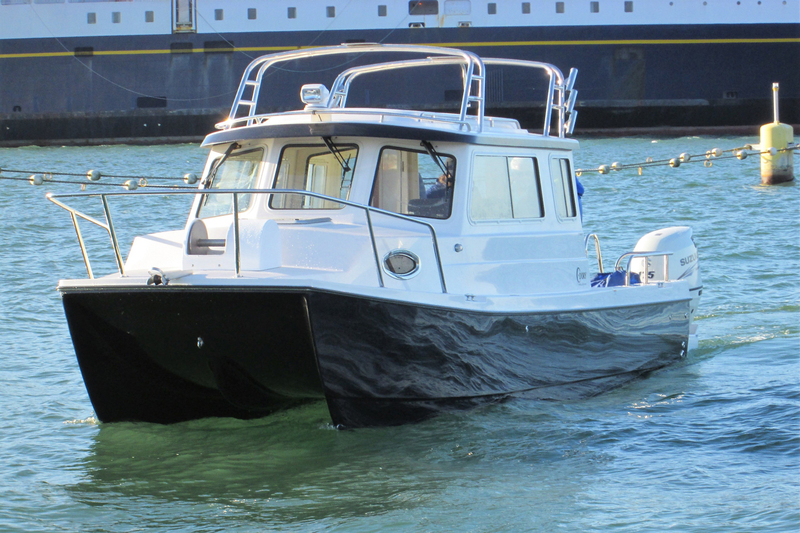 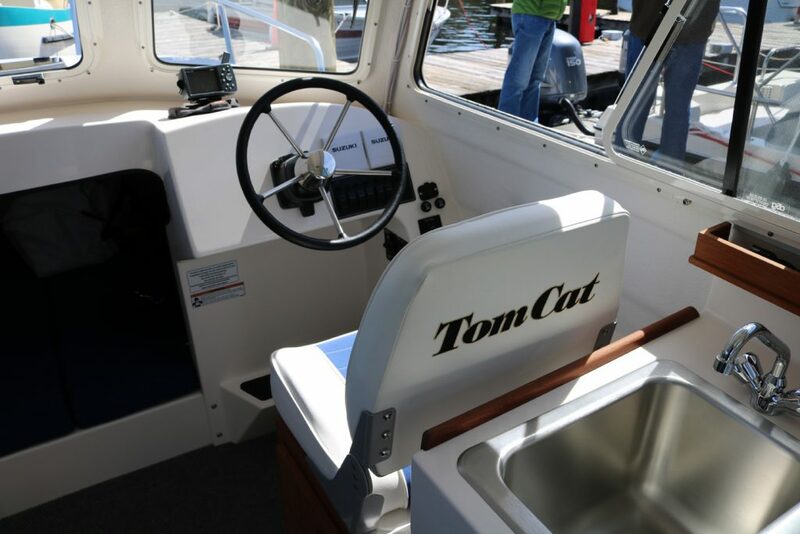 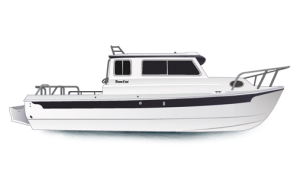 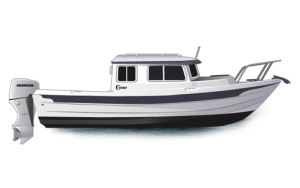 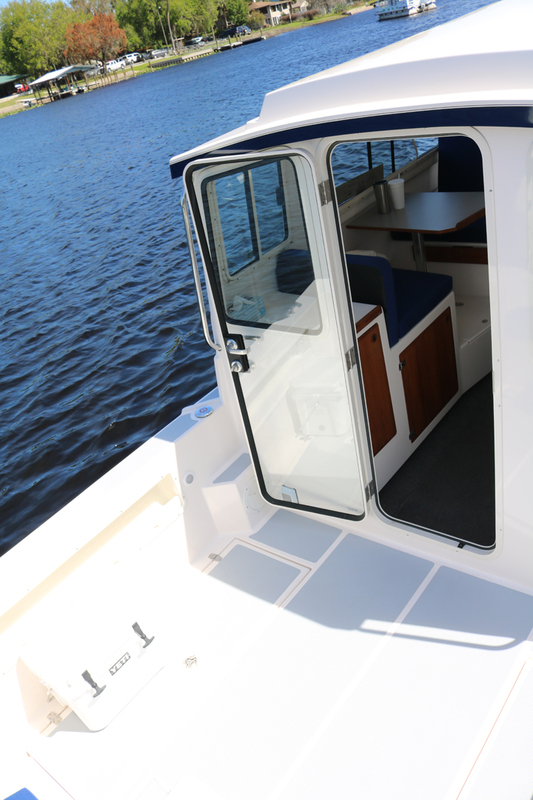 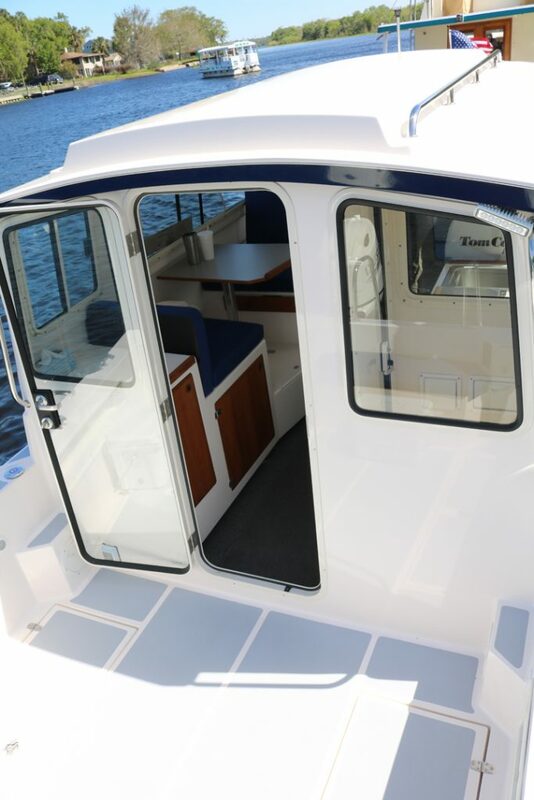 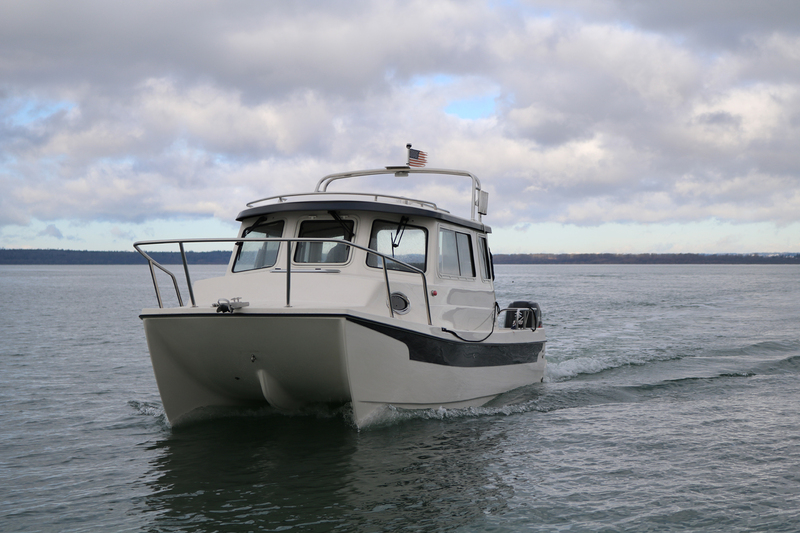 A spacious all weather pilothouse with an enclosed head and shower, make the Tomcat 255 a very smart trailer able vessel.